The University of Connecticut has been playing baseball on the collegiate level since 1896. They are a Division 1 program which will compete in the Atlantic Coast Conference beginning in 2014, having previously been in the Big East. Their nickname is the Huskies and their team colors are national flag blue, white and crimson. Uconn baseball typically plays at J.O Christian Field, a 2000 capacity park in Storrs, Connecticut. They also play at bigger minor league venues around the state. 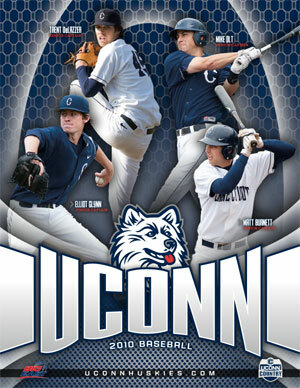 Uconn baseball has made the NCAA Championship tournament 17 times and the College World Series five times. They have won one conference championship and one conference post-season tournament. The two most famous alums of Uconn baseball are Walt Drapo, who won Rookie of the Year with the Boston Red Sox in 1950, and Charles Nagy, a three time All-Star pitcher for the Cleveland Indians during the 90s. Uconn baseball has been coached by Jim Penders since 2004. The Huskies used that to their advantage, making 12 NCAA tournaments and five College World Series between 1957 and 1979. They hit a bit of rough patch after that as they adjusted to the new more national nature of college baseball. But Uconn baseball fortunes have been on the upswing over the past 20 years, and especially since 2004 when they hired Jim Penders, a former Uconn player, as coach. Penders comes from an extensive coaching family. His dad is a top baseball prep coach in Connecticut, his brother is a college coach, and his uncle, Tom Penders, was a high profile college basketball coach with stops at schools like University of Texas and George Washington University. The family success has rubbed off on Penders, who has a 355–239–4 record since taking over Uconn baseball. He’s led his teams to three straight NCAA Championship Tournaments, including a trip to the super regional in 2011. Uconn was was also the regular season Big East championship that year. Penders was awarded Big East Coach of the Year in 2006, 2010 and 2011. Uconn baseball waved the Big East goodbye in 2013 by winning the league’s postseason tournament. 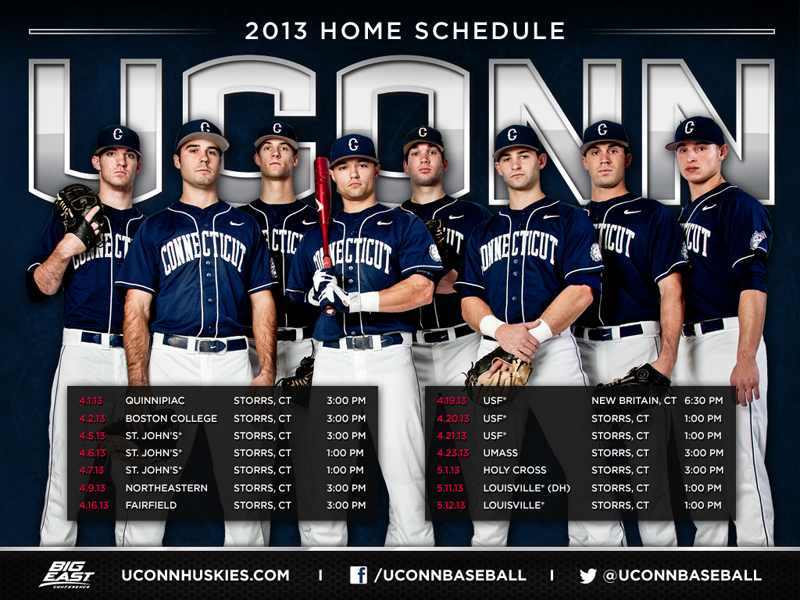 The Huskies will be headed to the ACC in 2014 and a much more competitive brand of college baseball. In in anticipation of the move, the University of Connecticut is raising funds to replace J.O. Christian Field, which is named after the former Uconn baseball coach and athletic director. As it stands, Uconn plays their biggest games in large off-campus venues, such as New Britain Stadium, which seats over 6000 and is the home of the Minnesota Twins Double-A affiliate. Brian Esposito, Jesse Carlson, Mike Olt. College World Series appearances: 1957, 1959, 1965, 1972, 1979.